Newly anointed Duchess of Sussex Meghan Markle was once turned down by popular designers on a press trip to London because she wasn't deemed famous enough to wear their creations. Markle, 36, married British royal Prince Harry on May 19 in a floor-length white silk gown designed by Clare Waight Keller, the artistic director of French fashion house Givenchy. She was snubbed by many fashionistas who didn't think she was famous enough to wear their clothing on a "Suits" press trip in London, reports people.com. 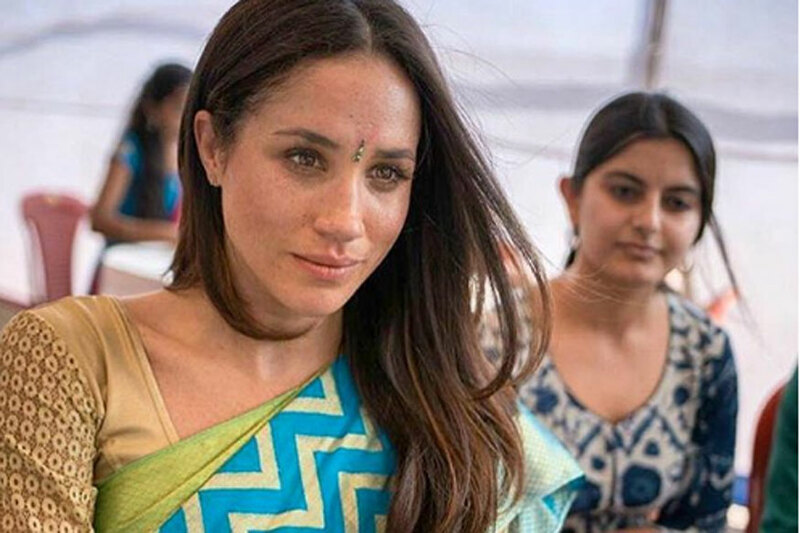 Stylist Juliet Angus, who starred in the reality show "Ladies of London", posted a photograph of Markle in her Stella McCartney evening dress on Instagram and commented how things had changed for the former "Suits" actress. "I remember five years ago trying to help my friend, who at the time was her stylist and no big designers wanted to loan to a Meghan Markle for her London press trip. Well done, you won't have that problem anymore. Big mistake, huge," Angus posted. "I was simply mentioning a personal experience of how hard it was to get British designers she wanted to wear on her London press trip to loan to her," Angus added.